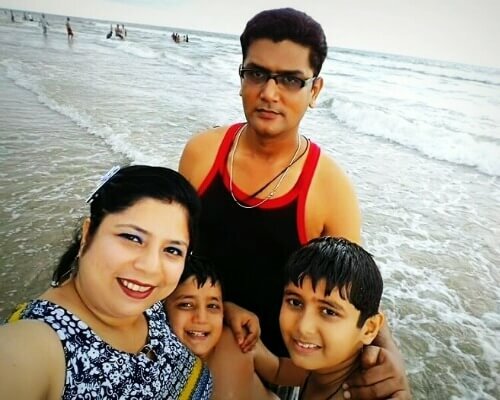 Abhinav and his family had the time of their lives in the beach capital of the country, Goa. 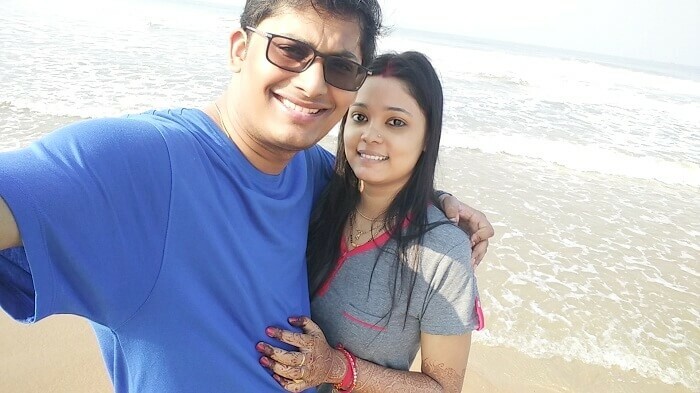 It was a 7 Day trip which included hopping to the best beaches in Goa, spending quality time with loved ones and making infinite memories on the way. 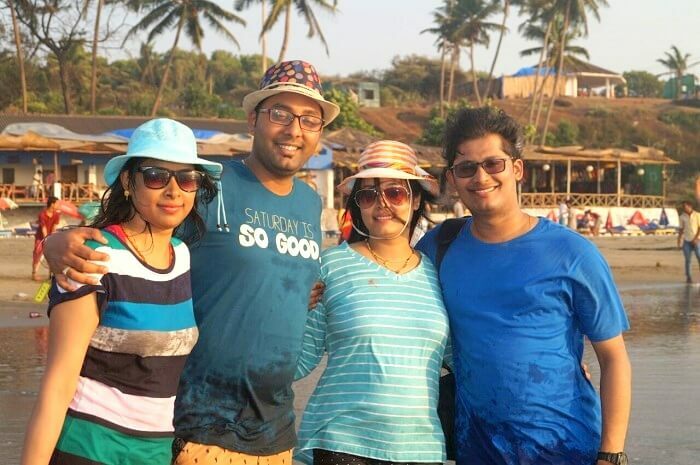 Read on to know about their awesome trip so even you can book a Goa family tour package and enjoy with your family. 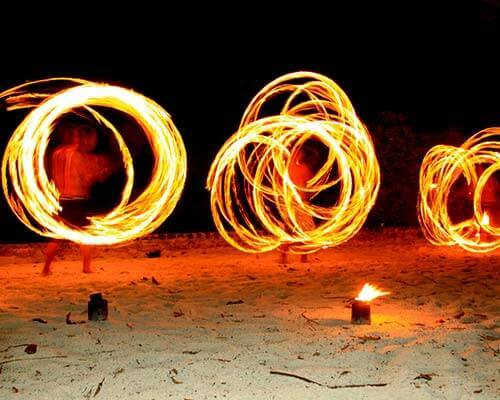 ‘Travel means a complete reset of mind and body. It’s unburdening the soul from the tedious everyday ritual and be able to breathe air of contentment and relaxation’. This is what travel means to me. I have always loved traveling and sometimes it’s all I need. 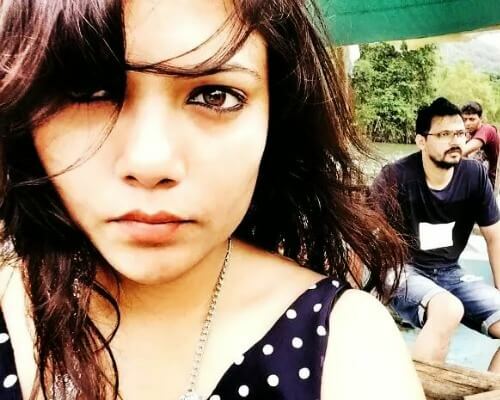 It was one such time, when me and my wife wanted to go somewhere, as we realized that life was getting very boring and mundane and the thought of ‘getting home, packing our bags and heading off somewhere’ started popping in our heads very frequently. My brother-in-law and his wife also decided to join us. See, that’s the benefit of traveling; you get to make plans with people you love and you get a chance to catch up with them along with enjoying a beautiful place together. Once our group was finalized, we began discussing about the destination. We were sure that we wanted a holiday destination where we didn’t have to switch hotels too often and spend time in vehicle. We wanted to just sit and relax, talk and enjoy the beauty of the place. And Goa seemed a perfect fit. 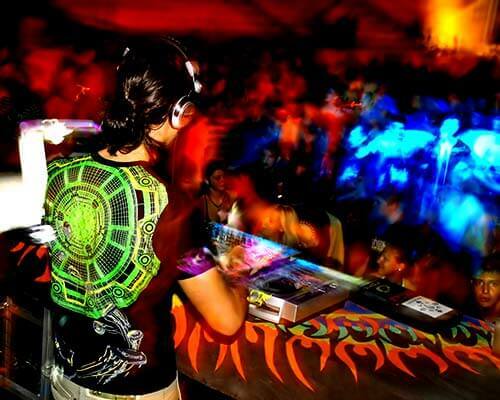 So without wasting time we began looking for decent Goa tour packages. We came across the package offered by TravelTriangle, a holiday marketplace offering customized deals at great prices. 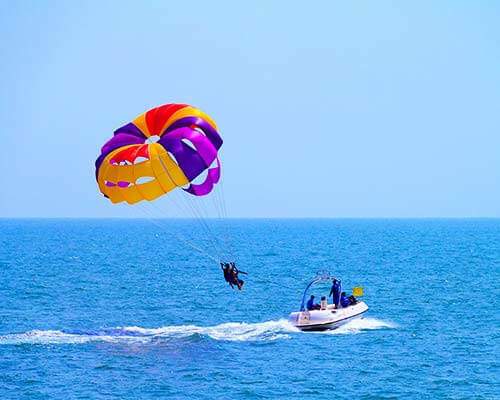 Without further delay, we booked a 7D 6N Goa family tour package and waited eagerly for the trip to begin. 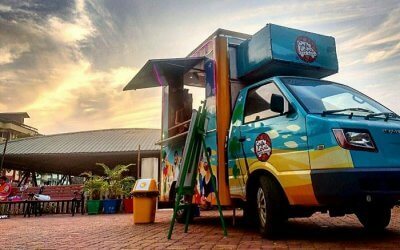 Exclusions: Flights, accommodation at Neelam’s The Grand and Resort Terra Paraiso, scooty hires and paid activities, if any. There was a delay in our flight from Delhi and we reached Goa by late afternoon. The taxi was waiting for us at the airport and we reached hotel Terra Paraiso in an hour. We were really excited so we did not relax at the hotel and instead quickly had some food and immediately left for the beach. 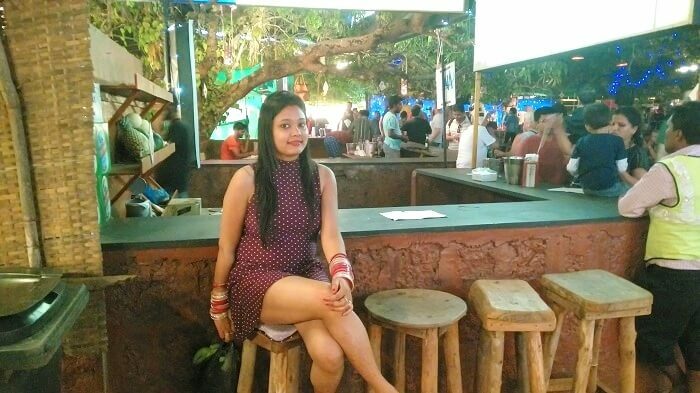 We chose a good restaurant by the Calangute beach, which was nearest to the hotel, and sat there from late evening till midnight. We had a lovely time, and we chilled there , catching up on each other’s life and discussing our work. We came back to our hotel after midnight and had dinner in the hotel itself. The dinner was quite nice and gave some relief to our hungry stomach. All in all, the first day was all about relaxing and enjoying each other’s company by the seaside and below the millions of stars. Time travel in the splendid Portuguese forts! 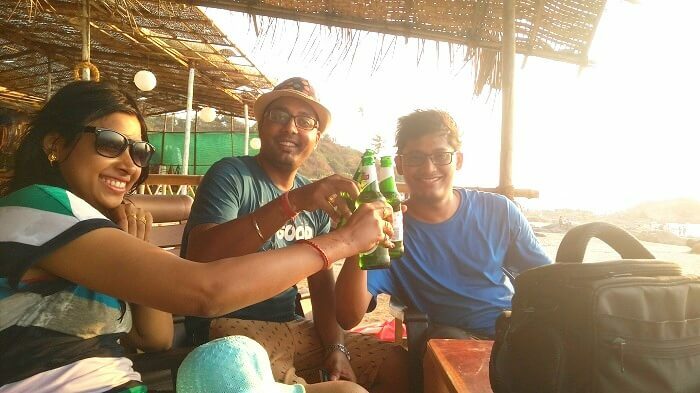 Day 2 was reserved for the forts of Goa. I love riding on two wheeler, so we decided to cover the forts on scooties, a very popular mode of transport in Goa. It is also one of the cheapest modes of transport; A scooty can be rented for Rs. 300-400 per day, excluding the petrol and other maintenance charges, if any. Although it was sunny, the breeze was cool and made the scooty rides to different places quite fun. The Goan roads are beautiful, surrounded by tall palm and coconut trees on both sides. 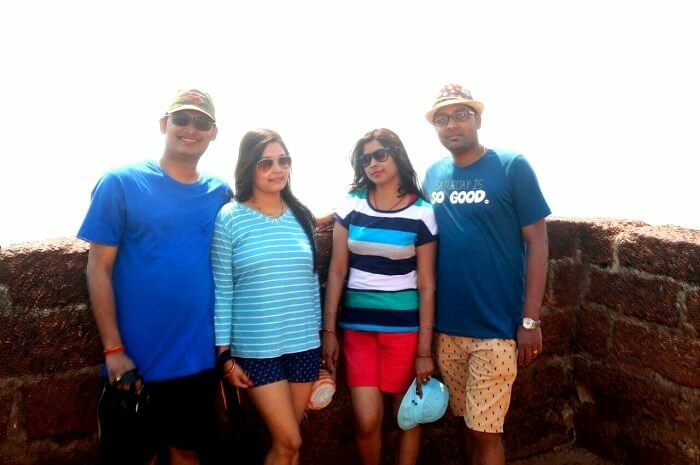 We first visited Aguada fort, situated in Sinquerim beach. The location of the fort is perfect, as it overlooks the vast Arabian sea , with the waters crashing in the fort walls, making a thundering sound every few seconds. One can just stay there and relax for sometime soaking in the beautiful view. All that roaming around in daytime makes you really thirsty and tired. To quench our thirst, we resorted to the lemon sodas that were being sold outside the fort area. 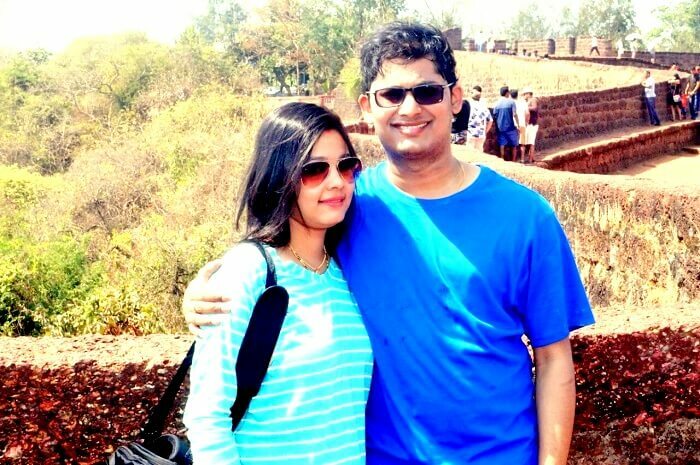 After that, we went to Chapora fort, a half an hour drive from Aguada fort. It is a very unique fort, and has become popular over the years as the ‘Dil chahta hai fort’. An iconic scene from the movie was shot here. Carry sunscreen and summer hats as it gets quite sunny in the afternoon . 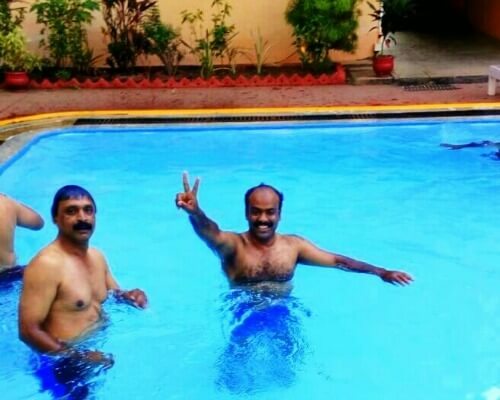 Post our sightseeing, we went to see the sunset at the Vagator beach which was nearby. 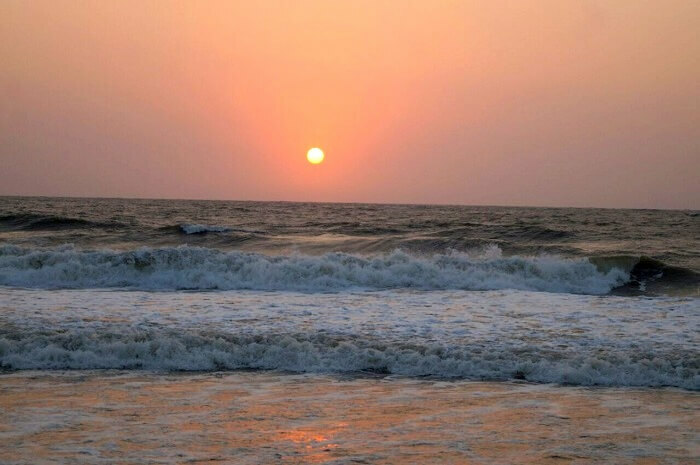 Vagator is one of the most serene and peaceful beaches, and is less crowded than Anjuna, Baga beach etc. We sat there for sometime, seeing waves make ripples at our feet and watched the day go by, slowly and calmly. For dinner, we went back to our hotel, post which we retired to our rooms for sleep. We had planned for the Grand Island trip this day. Our vehicle, which would take us to the island arrived on time and we left our hotel at around 8:30 am. Our boat, which took us to the island was quite comfortable, and our boatman was really helpful. We were served snacks and drinks on board and they were quite delicious. 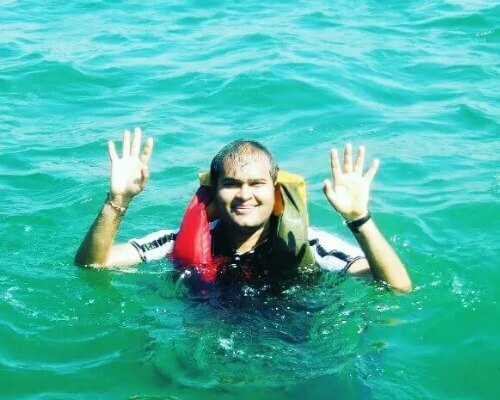 The best part was swimming in the open ocean; before we reached the island we were given life jackets and were given the option of swimming in the open sea waters for sometime. All of us wanted to, so we did and it turned out to be a lot of fun. Honestly, I now feel we should have stayed in the water for some more time ,because the grand island tour was farce. I pictured us going to a nice pretty island with lovely people around, but trust me it was nothing like that. It is a very small island with a lunch area and nothing else. The lunch was not that great too, so none of us really wanted to have it. The boat ride back to our beach was quite bumpy and at a point we got really scared. It was only after we reached back safely to our hotel that we heaved a sigh of relief. We rested and thanked god for keeping us alive. Phew. My brother-in-law’s family was going back today. We had to switch to a different hotel so all of us woke up quickly and left for Neelam’s The grand hotel immediately. It was a problematic experience shifting to the hotel as there was no ferry or car arranged for us to take our luggage. We had to eventually hire a scooty and take our luggage to the new hotel ourselves. The hotel Neelam’s The grand is a really nice hotel in terms of ambiance. But it lacks quality in terms of overall management. The staff did not serve us welcome drinks on arrival, we had to remind them twice. Our water bottles in the room were not replaced on time. The hotel needs to focus of its hospitality services and take a lesson or two from other good hotels of Goa. We just rested in our hotel room throughout the day as we did not feel like stepping out. In short, day 4 was all about relaxing in our new hotel. The next day was the same. We got up and had a good breakfast. The food was quite nice and the staff seemed friendlier. In the evening, we went to Calangute beach and roamed around for a while, trying cocktails at different shacks, playing in the sandy beach and by night, the scene changed from a lively atmosphere to a quiet, mellow one. The pale moonlight was glittering over the magnificent Arabian and it made the waves ripple, it was as if the waves were trying to reach out to the moon to say hello. The entire scene was beautiful. I rarely get to see such a sight and I am sure I will remember that night for a long time. This was our last full day in Goa as we had an early morning flight the next day. 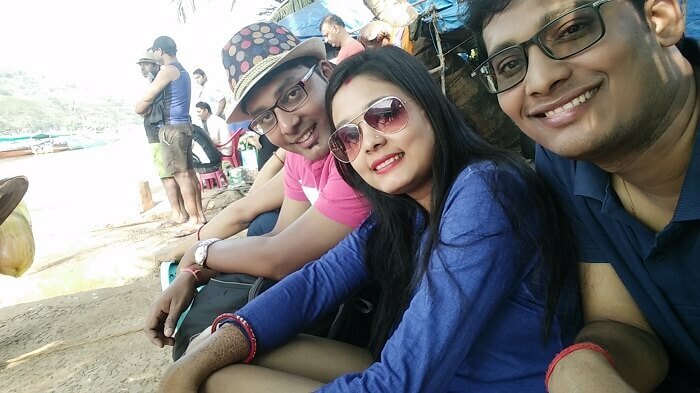 So we decided to visit Baga beach, one of the most popular beaches there. My wife and I enjoy swimming the most, so we went to the deep sea waters and swam to good two hours . Post that, we came back to our hotel and rested. At 6 in the evening we started for the Saturday Market at Arpora. It’s a magnificent market where one gets a variety of things ranging from souvenirs to old music CD’s . We shopped to our heart’s content as we hadn’t engage in shopping in a long time. Later, we got back to our room and had dinner and slept off. 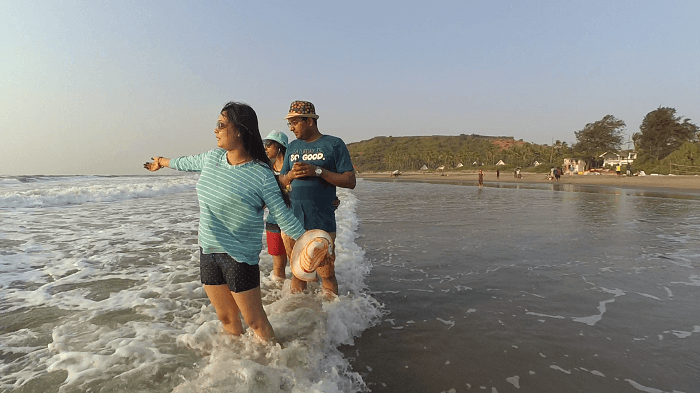 Goa is a place where one should go for that much deserved and much needed sea therapy. This is one place which is a mix of various things: the friendly people from foreign lands welcome you and treat you as their own and the warm waters of the Arabian will make you never want to leave this place ever. 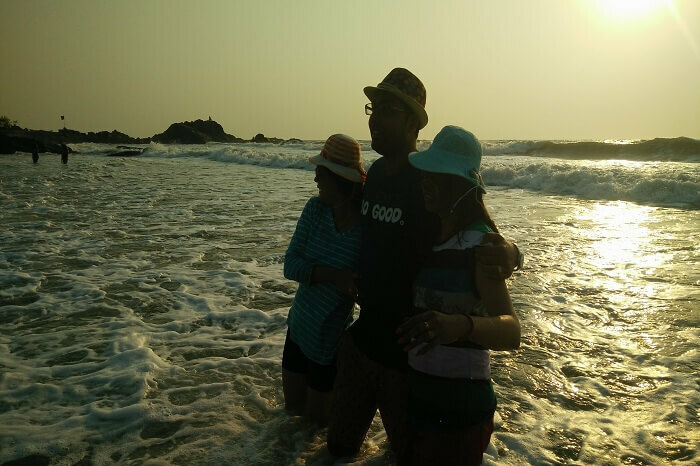 I had the time of my life with my better half and her family and I will cherish this Goan sojourn forever. 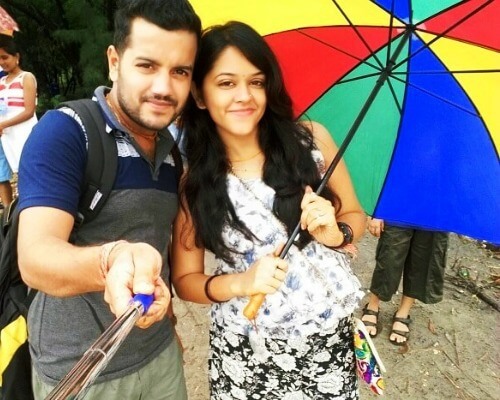 Goa turned out to be an amazing experience for Abhinav and his family. 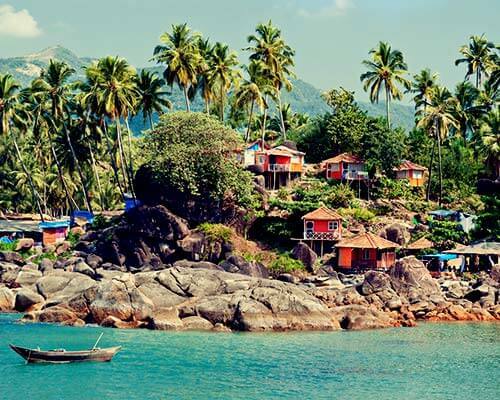 Even you can book a Goa family tour package and enjoy with your loved ones. Hurry, book now!